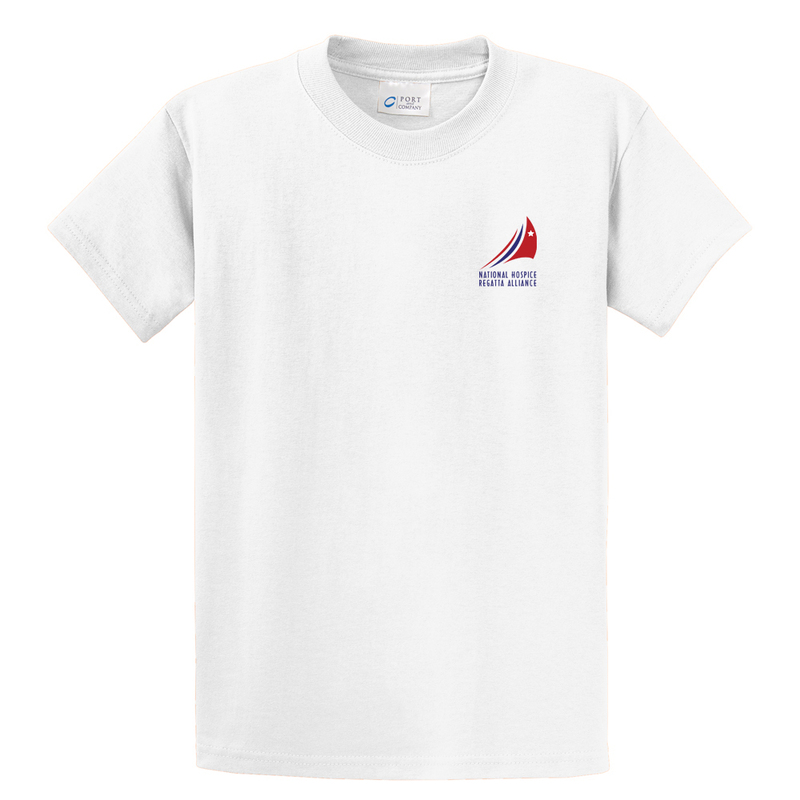 This t-shirt has the National Hospice Regatta Alliance logo direct to garment printed on the left chest with a print of the 2019 painting, A Split Decision by Willard Bond, on the back. Your location specific regatta will be printed below the artwork. Please see spreadsheet and add your location below. If no location is inputed, we will default to "Hospice Regattas 2019".